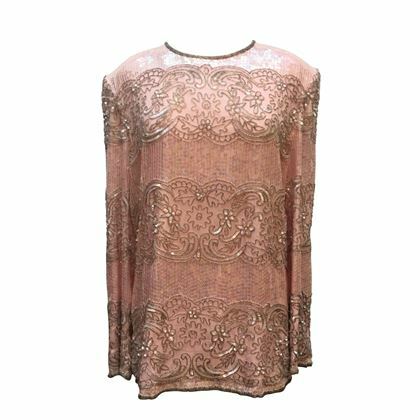 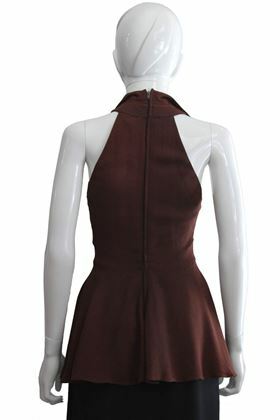 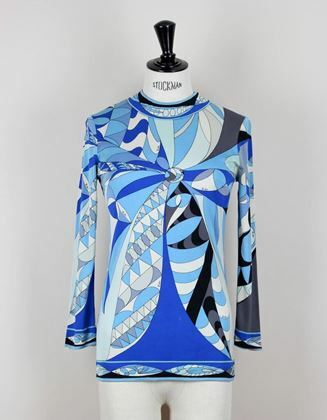 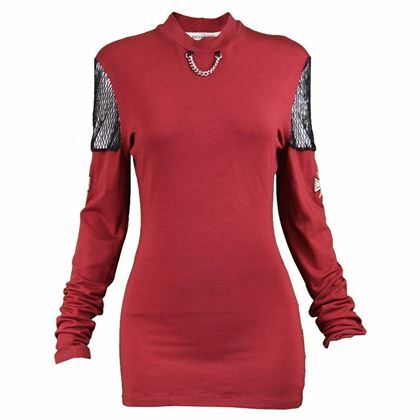 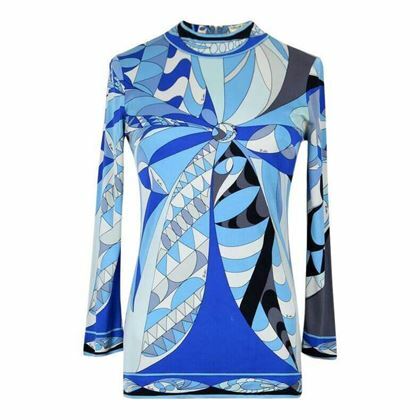 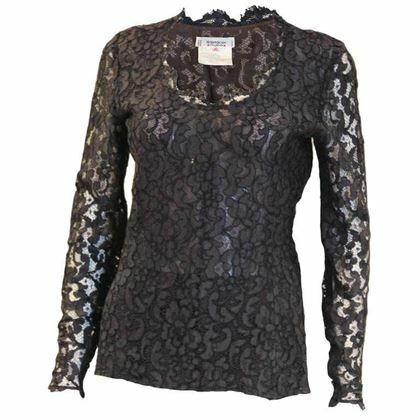 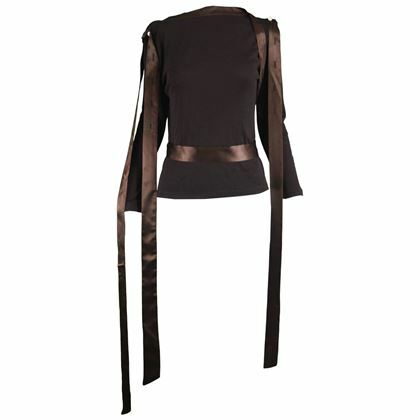 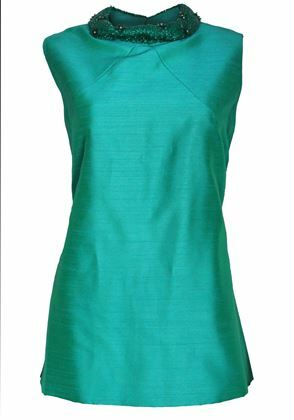 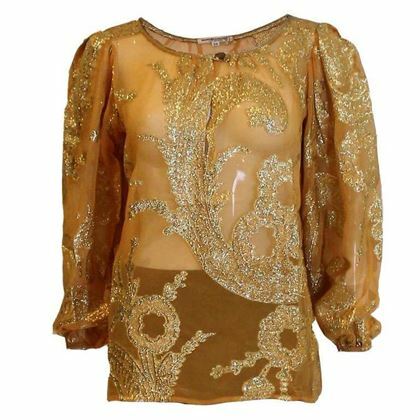 Give your line-up of clothes an eye-dazzling injection with a vintage top from the designer archives. 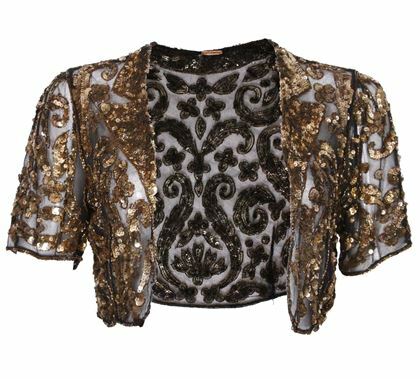 Perfect for party wear or simply when you wish to make an extra impact, tops boast character and charm and are often found at the forefront of designer collections as they perfectly distil the seasonal sentiments of the range. 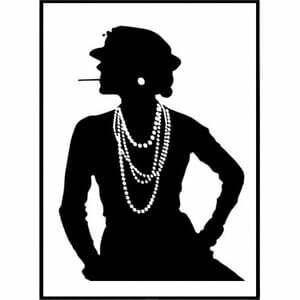 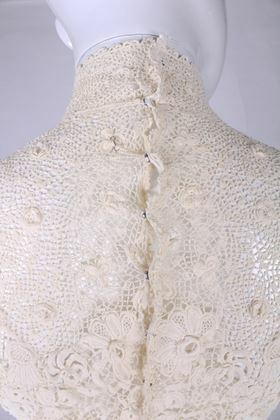 For past time glamour, glance back a couple of decades and explore the opulent feminine shapes of the early to mid-1900s. 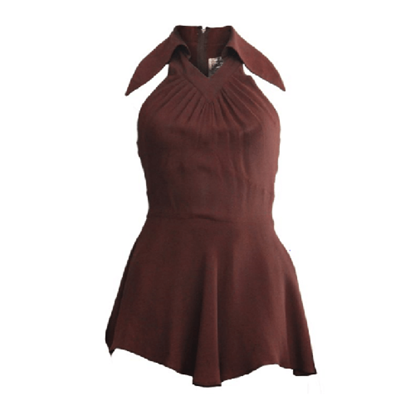 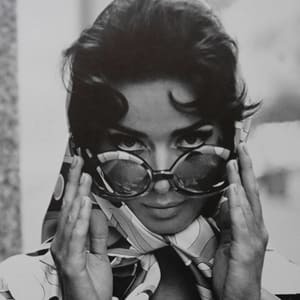 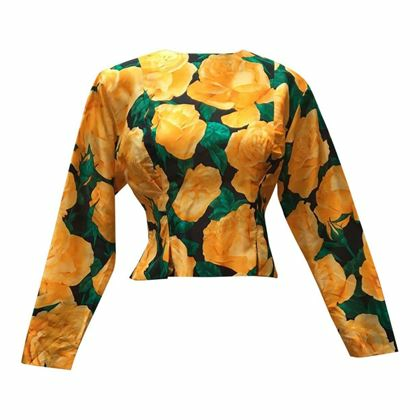 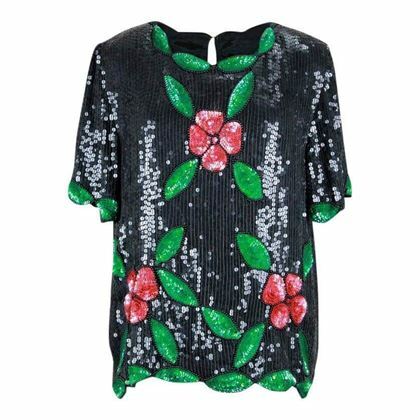 OfV says: With a special penchant for formal and festive designer tops, our edit of vintage tops hosts an array of styles from subtle to statement. 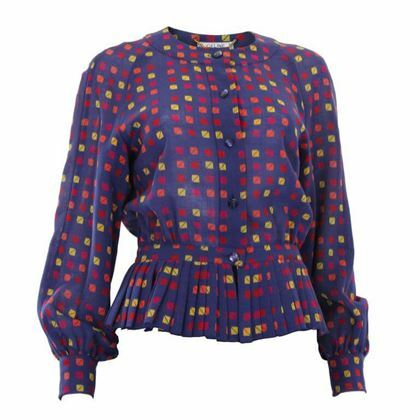 Poke-in-the-eye vintage party tops sit next to luxurious wool knits; and satin corset waistcoats sit next to relaxed ethnic print wrap tops. 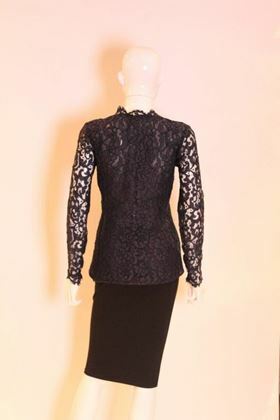 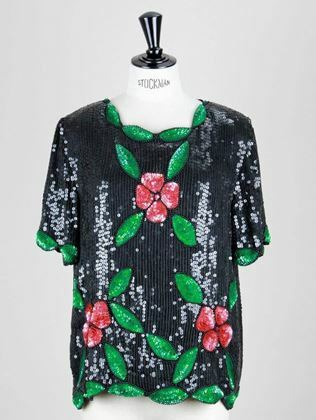 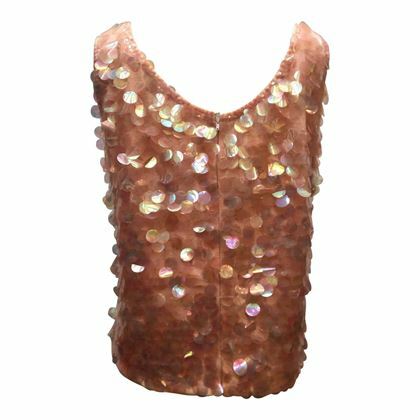 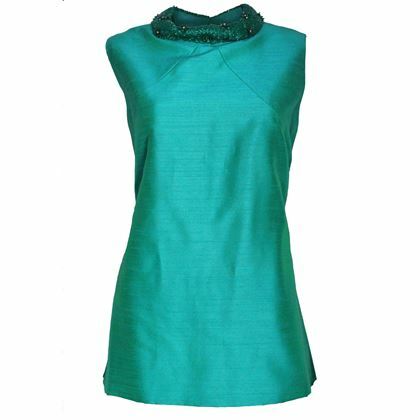 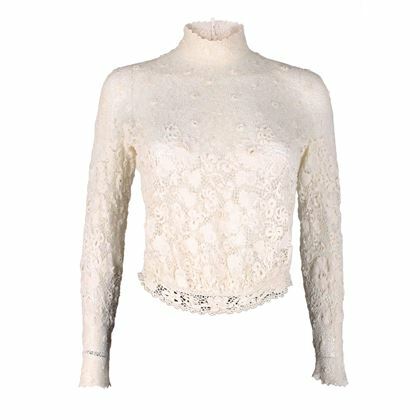 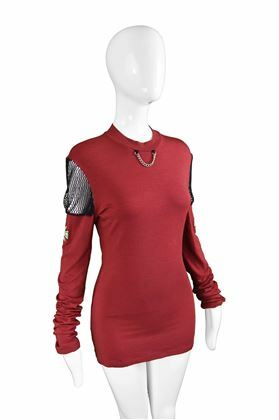 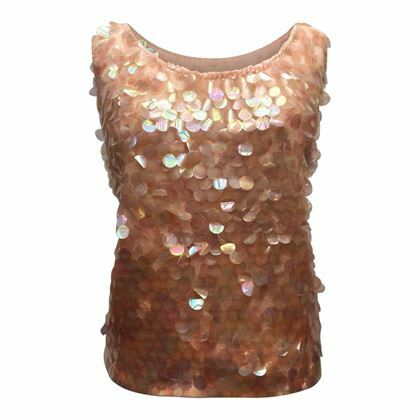 Consider a 1980s Thierry Mugler Couture-signed beaded silver bustier top for when you wish to make a head-turning entrance; and a semi-transparent 21st century Gucci turtle neck top as subtly fashion forward office attire. 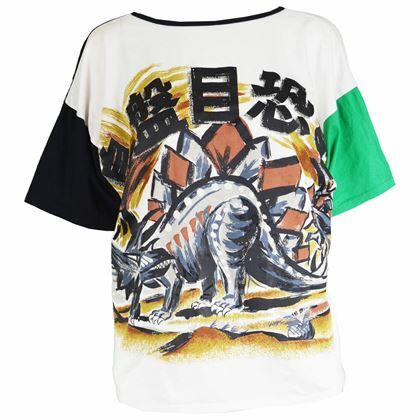 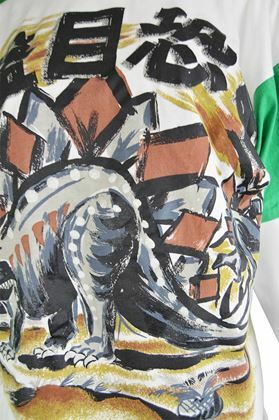 Vintage t-shirts are where the fun starts – don’t miss our selection of statement print vintage t-shirts from the likes of Louis Vuitton, Versace and Moschino. 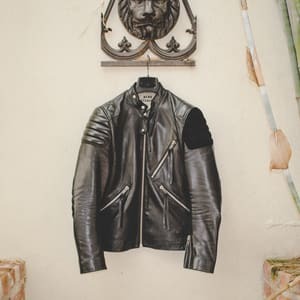 Complete the vintage look with a pair of trousers, shoes and a jacket from the same era; or team your vintage top with pre-owned, past-season bags and designer accessories for a modern twist. 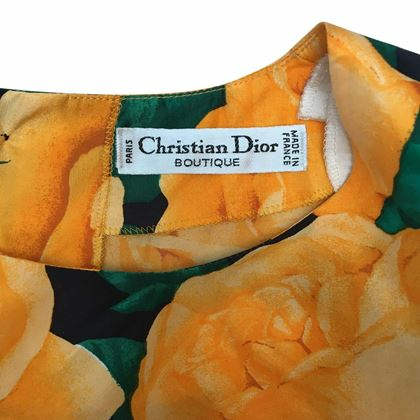 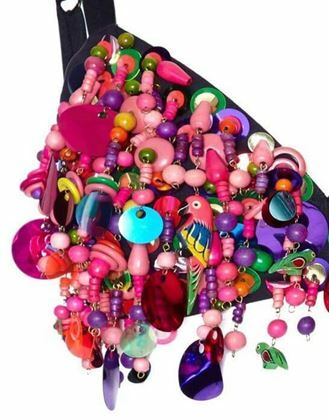 Keep your eyes peeled for the opportunity to get your hands on a rare runway piece from cult designers as diverse as Dior, Dolce & Gabbana and Issey Miyake. 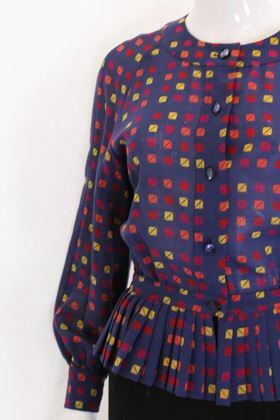 Uncover enduring trends; retro prints, patterns and silhouettes; and ground-breaking conceptual cuts and volumes in our vintage tops edit below. 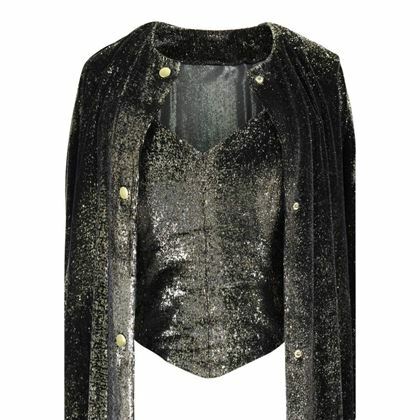 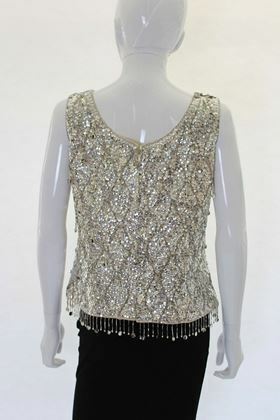 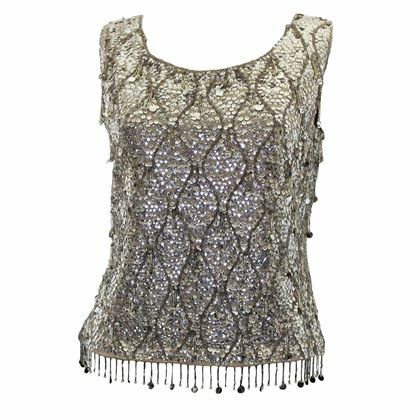 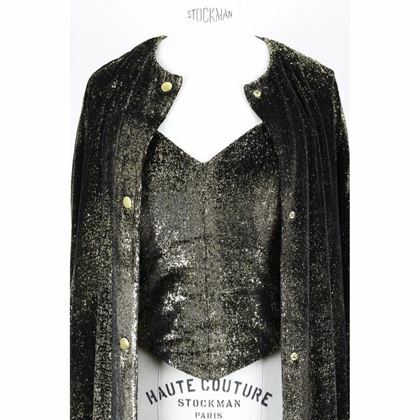 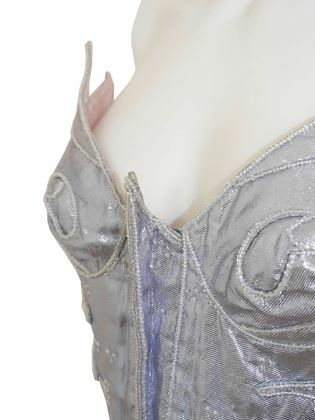 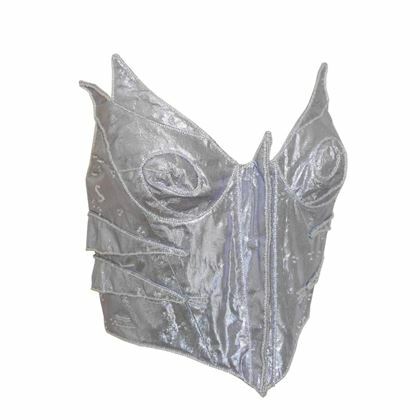 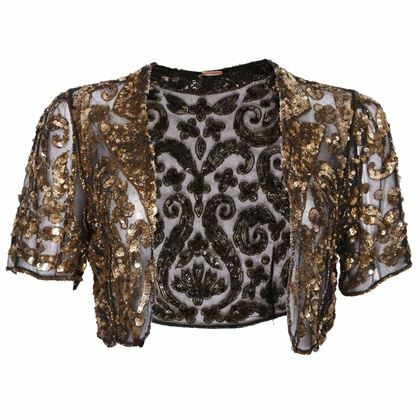 A spectacular Thierry Mugler bustier top from the late 1980s made of metallic silver fabric, hand beaded all-over.